"Enter your timesheet and expenses on the go!" Stay productive while on the move. 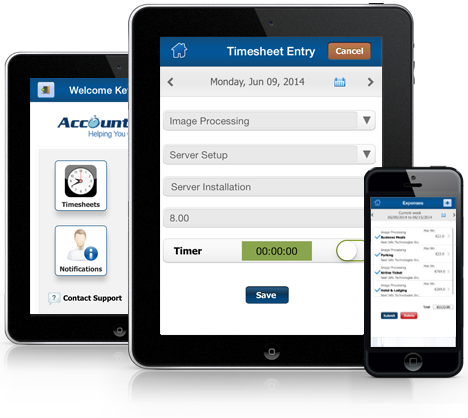 Quickly enter your timesheets and take photos of your receipts. Get instant notifications of your teams' time and expenses and approve on the go. Follow up with your customers by getting automatic reminders on delayed invoices. With the elegant and intuitive interface, it is easier than ever.